ST JOHN’S - Argentine prosecutors are asking their counterparts in Antigua and Barbuda to share information about accounts at a local bank that was used by Brazilian multinational construction company Odebrecht SA to pay bribes in a massive international corruption scandal. Argentine officials are seeking data from Meinl Bank (Antigua) Ltd, said Anthony Armstrong, Antigua’s director of public prosecutions. The request was made on behalf of a prosecutor investigating potential kickbacks in the construction of an underground railway between Buenos Aires city and the province, Bloomberg News reported. 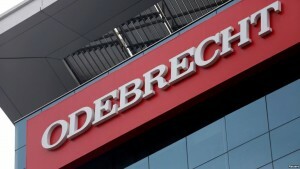 In the largest foreign bribery case in history, Odebrecht, along with a Brazilian petrochemical company, Braskem SA, pleaded guilty last December and agreed to pay a combined total penalty of at least $3.5 billion to resolve charges by authorities in the United States, Brazil and Switzerland arising out of their schemes to pay hundreds of millions of dollars in bribes to government officials around the world. According to its admissions, Odebrecht engaged in a massive and unparalleled bribery and bid-rigging scheme for more than a decade, beginning as early as 2001. During that time, Odebrecht paid approximately $788 million in bribes to government officials, their representatives and political parties in a number of countries in order to win business in those countries. The criminal conduct was directed by the highest levels of the company, with the bribes paid through a complex network of shell companies, off-book transactions and offshore bank accounts. According to press reports, Odebrecht purchased Meinl Bank in Antigua in or about 2010 or 2011 and used the bank as part of Odebrecht’s complicated scheme to bribe government officials in various countries. In Argentina alone, Odebrecht admitted to paying $35 million in bribes between 2007 and 2014, according to its December guilty plea in the US criminal case. Details about those payments reportedly have the potential to help incriminate members of former President Cristina Fernandez de Kirchner’s government, as well as allies of President Mauricio Macri. Argentina made its request to Antigua’s foreign ministry under a mutual legal assistance treaty between the two countries that allows for sharing of information in criminal cases, Armstrong said. Argentina is targeting Meinl accounts Odebrecht used for years to funnel bribes, he said. He told Bloomberg News he’s been working for more than two months to collect the information Argentina has requested. The task has been laborious because it requires getting court orders to secure records of transactions and other confidential information, as well as to freeze accounts. He declined to provide more details about the nature of the request. In February, the Antigua and Barbuda Financial Services Regulatory Commission removed three of the directors from the board of Meinl Bank and appointed an official administrator of the bank.